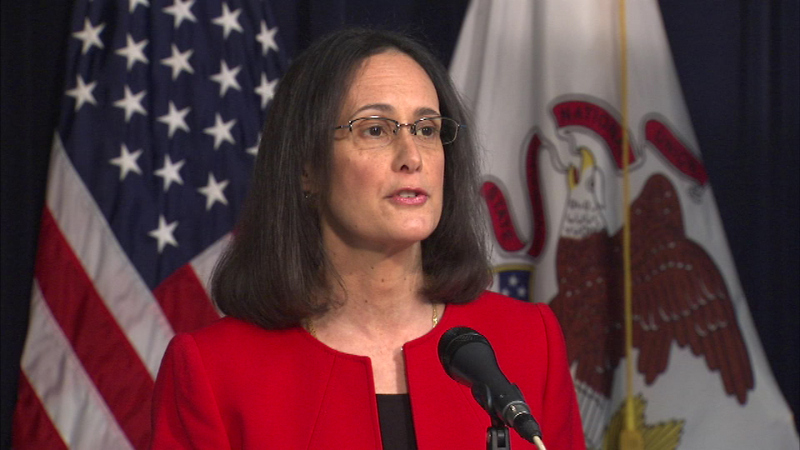 CHICAGO (WLS) -- Five companies are being sued by Illinois Attorney General Lisa Madigan, who is accusing them of scamming people who need to repay student loan debt. The companies allegedly charge borrowers costly upfront fees with the false promise that they would help them repay their debt. Richton Park resident Ruth Varela paid a debt relief company nearly $800 after they said they could help her repay nearly $6,000 in student loans. After paying a $399 upfront fee and a monthly charge of $79 after that, Varela said none of her payments were applied to her student loan balances. "When you're thinking that you're getting this down, to find out that you're not, I feel robbed," she said. Varela's story and the complaints of others prompted Madigan to once again go after student loan debt relief scammers, and on Monday she filed lawsuits against five alleged offenders. Under the state's Debt Settlement Consumer Protection Act, companies operating in Illinois should not charge money upfront for debt-relief services. "All of these people, when then turn to the scammers they are desperate, they are unaware of the free, legitimate information and assistance that is available," Madigan said. The businesses being sued include the company Valera contacted, Student Loan Resolve, and four other companies including, Chicago-based Nationwide Student Aid LLC, which at one point operated out of a West Side office building. ABC7 Eyewitness News reached out to Nationwide Student Aid, both by phone and by e-mail to get their comment on the lawsuit, but got no response. Federal Student Loan Alliance and Interactiv Education LLC, operating as Direct Student Aid, could not be reached for comment, but the owner of Georgia-based Student Consulting Group Inc., Michael Crook, said in a statement that he is not familiar with the lawsuit, but added that his company has done nothing wrong, saying, "We're a service provider. Our services are purely administrative. Any client that signs up with us gets the work processed or we refund their money." Nearly 40 million Americans have $1.2 trillion in outstanding student loan debt and Dennis Horton with the Better Business Bureau said scams are not uncommon. "The scam artists tell them, 'We could provide that answer,' when in fact all they're looking to do is line their own pockets," Horton said.